President Maithripala Sirisena and Prime Minister Ranil Wickremesinghe found good cause in keeping with their New Year resolutions of service to the country with the launch of the Sustainable Era for Sri Lanka 2030 earlier this week. The President made this the occasion to a call for all to come together to work towards developing the country, stressing that among the immediate priorities, in addition to social and economic development was reconciliation. Prime Minister Wickremesinghe’s related message was to recall that the January 8, 2015 election of the President was on a mandate not only to develop the country economically, but in all aspects. He said the mandate of January 8 was to bring about national unity, reconciliation, ensure political freedom, a new constitution, have transparency, remove corruption and improve the economy of the country…with all the people reaping the benefits of these. The Year 2017 comes a century after the Russian Revolution of 1917, which saw significant changes in the socioeconomic trends that prevailed in the world. The dawn of 2017 saw the conclusion of a century that saw major changes in the world, that included the rise of both Capitalism and Communism, the end of one World War that paved the way for the Second World War, a century where colonialism thrived and also saw its steady decline, and the rise of Fascism and its defeat in the West, with an important period of the rise of the Welfare State. It also saw the fall of Communism after its distortion by Stalinism, the breakdown of the Soviet Union, and a fresh rise of capitalism, with Neo Liberalism moving on to Globalization, which has now led to serious questions about the future trends of Capitalism. It was certainly not the age of the End of History as some western thinkers believed, but has brought out new trends in the rise of populism in the USA and Europe that will have a major impact on global trends in the coming decades. At the end of such a historically significant century, Sri Lanka just concludes two years since what was known as the “Rainbow Revolution” that saw the defeat of the Rajapaksa Regime, with all its plans to maintain its authoritarian and corrupt hold on power, and the promise of major social and economic changes in the country, with emphasis on the strengthening of peace, understanding among communities and reconciliation among people, all of which requires a good democracy and respect for the Rule of Law. What we see today are trends that seek to take the country and people away from those important goals of January 8 and August 2015, and instead move the country backwards to an era of populism based on race and religion, and certainly away from the constitutional changes that are at the core of the search for a better and stronger democracy, improvement in the Rule of Law and a definite fight against corruption. The biggest threat in this situation is the manipulation of popular feeling and thinking against a new constitution, with fanning of the flames of communalism and religious extremism, and increasingly demonstrating the bogey of a divided country through the rise of separatism, which is the incorrect but a convenient description given to Federalism or power sharing. Coming into focus in the current situation is the growing rivalry within the ‘Coalition of Consensus” leading to a government of National Unity that was established after the elections of August 2015. 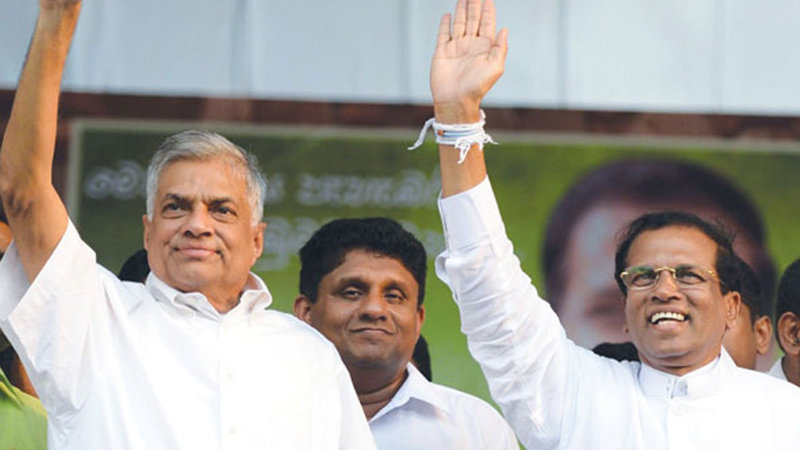 The efforts by the Mahinda Rajapaksa led Joint Opposition (JO) and divisions within the SLFP, the second major partner in the ruling coalition, are certainly issues that calls for action by the leadership of government, if the goal of a “Sustainable Era of Growth for Sri Lanka” that President Sirisena launched, is to come anywhere near achievement. 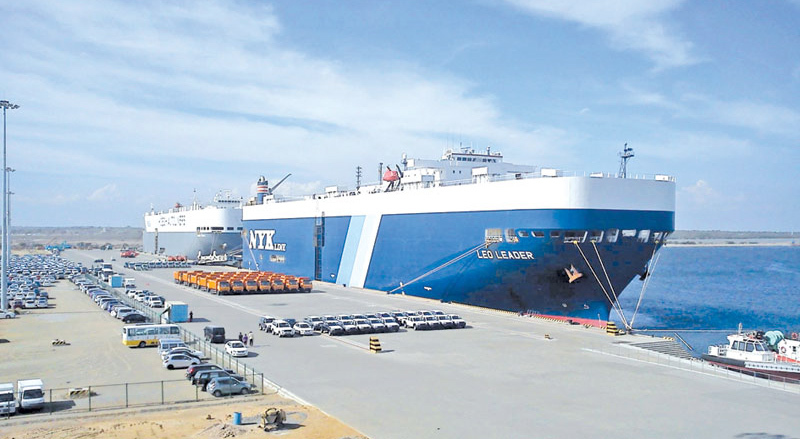 The debate over the “Super Ministry” and the opposition raised to the development efforts in Hambantota, with a full cover up of the huge loans that have been taken from Chinese institutions for a mainly non-functioning, and loss making, Hambantota Port and Mattala International Airport, are among the issues that are being flaunted by those opposed to the necessary democratic and economic changes in the country. Moving towards the extreme levels of opposition, in a dangerous rise of religious fundamentalism is the move to have the proclamation of an Order by the Buddhist clergy, against the government’s activities related to economic development in Hambantota and the South, and thereby relating to the entire country. This is a Super Challenge that calls for clear alignment within government. What is necessary in this context is to rein in the SLFP sections within the Government that are carrying on a dichotomous political strategy of being pro-SLFP and anti-UNP, in the search of popularity, that will not help achieve the goals of January 8 and August 2016. The efforts being made to avoid major constitutional changes, which include the abolition of the Executive Presidency, must be challenged with a renewed commitment of government to constitutional changes, which will require people’s endorsement in a referendum should be carried out with renewed commitment. It is evident that this is the real dream time for Mahinda Rajapaksa with his announcement to foreign correspondents about bringing down this government in 2017. The realities of parliamentary membership, and the huge benefits of ministerial position that SLFPers hold in Government, appear to have missed Rajapaksa, despite the anti-UNP noises made by some big (but defeated) members from the SLFP, who make the most noise today. This is certainly the time to give this dream a touch of realistic awakening, by holding the now much overdue Local Government elections, without further ado, even under prevailing delimitations and electoral laws, if that is legally possible. The more than ridiculous delays in the delimitation process only add to the strength of the Rajapaksa dream, which could impact on people’s thinking. Giving a good shake to that dream is implementing the promise by the Prime Minister in his briefing to the media on “Balagathu Sri Lankava” - The Powered Sri Lanka – are certainly necessary to really awaken Rajapaksa and the JO forces, and drive more light to SLFPers toeing their line while in the Government. What the PM said was that we have our country’s strategic location, which is the fastest growing economic location; we could become a centre of communications for shipping, airlines, logistics and business. The Prime Minister also stated there that with major development projects and a boosting of employment in the South, especially in the Hambantota area, Rajapaksa and his followers will not be able to secure a single seat in the Hambantota election in an election. This is certainly a political exaggeration, but it is timely, and the need is for such development projects to be launched with a determined regularity; to take a new message of development to the people, away from the dangers of racist and religious extremism. The fight against corruption gets new strength with the Parliamentary Committee on Public Enterprises (COPE) extending its investigations into the recent controversy on tenders for the supply of coal, which took place even after concerns expressed by the Supreme Court. COPE will also probe an alleged massive scam related to rice imports in 2014/2015. It is understood that he related coal tender had resulted in a loss of Rs. 2,145 million to the Government. The alleged corruption in the import of coal is of important national concern, with the continuing rise in demand for coal imports for power supply. With regard to rice imports, current Chairman of COPE Sunil Handunnetti had informed Parliament that a staggering amount of Rs 18,597 million had been spent on importing these rice stocks, when there was no shortage of the staple in the country. The loss incurred was Rs. 2,359 million, while some of these stocks stored for a long time had been declared as animal fodder, when found unsuitable for human consumption. In the context of the current controversy over the issue of rice to millers, and the present cost of rice that is certainly contributing to the cost of living, this probe by COPE is most timely and welcome, as it could be the beginning of further serious inquiries into the supply of the staple food of the people and the support of government to the agricultural sector. It is clear that the best intentions expressed in the New Year resolutions of national leaders will certainly need a major commitment of government for full implementation, with a similar determination to take the country away from the dream world of Rajapaksa politics.